Here is the Venue I would like to suggest for your Wedding! A jewel built on the ruins of an Old Roman Theatre, nestled in the middle of an Ancient Small Hamlet in Umbria. The tiny specialty food shops and the typical Italian Osteria, offer all the traditional Umbrian dishes and products, such as black truffles as well as good quality Wines. The wonderful square with Magnificent Churches is a perfect Scenario to celebrate your Ceremony and take some memorable shots. You will then reach the Venue Reception in 2 minutes walk. Or you may want a Civil Ceremony at the Town Hall on the same street. Some of your guests will stay at the Venue that hosts up to 32 people in 14 Charming Rooms, all of them preserving the original style. Antique Furniture, frescos, old tools, cotto tiles, rugs and fabrics. Other pretty Hotels across the street. So you will all stay very close each other! Friday: explore the Venue, get familiar with the Hamlet, find out beautiful scenarios for your pictures, taste some traditional Italian Food. Saturday: Wedding preparation in the morning, Wedding Ceremony in the afternoon, Wedding Reception at the Venue, dancing on the Garden till Midnight and inside until 3 o’clock in the morning. 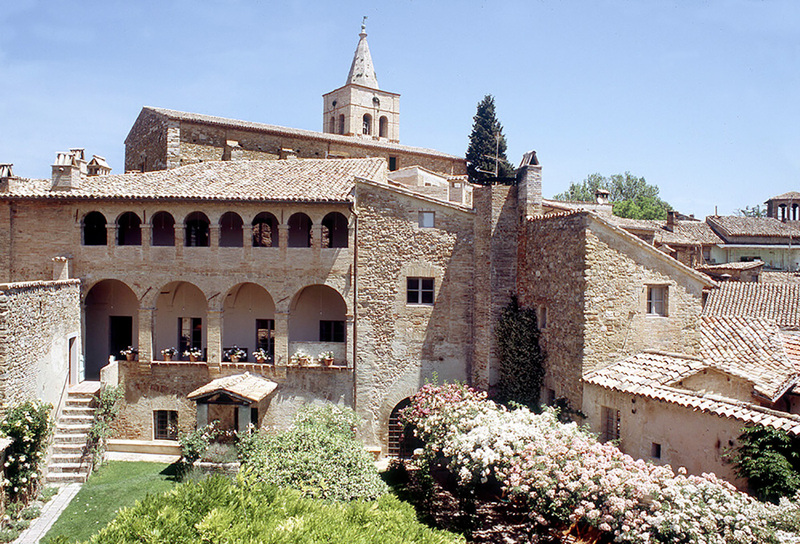 If you decide to stay longer, we recommend you to visit some popular Umbrian locations like Assisi, drive to Tuscany and Florence, call on some Museums, enjoy Italian Art Treasures and Wine Tastings.